Like every year, several million pilgrims will go to Mecca to take part in this religious event. This year, the Hajj pilgrimage to Mecca, Saudi Arabia, will take place from 19 August to 24 August 2018. 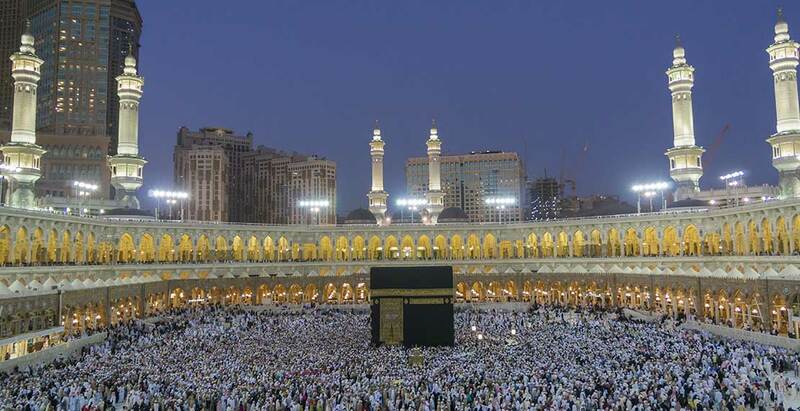 Like every year, several million pilgrims will go to Mecca to take part in this religious event. Where possible, try to avoid close contact with people who show signs of a respiratory tract infection, such as coughing or sneezing. Avoid contact with animals and birds and their droppings, specifically camels and dromedaries. MERS-CoV is a viral respiratory tract infection that can cause severe pneumonia and is fatal in approximately 30% of cases. In particular, people with an underlying illness (such as diabetes, chronic kidney problems, immunosuppression,...) have a higher risk of developing complications. People can become infected through contact with dromedaries or products from dromedaries (such as milk) or through contact with an infected person. Infection with the MERS-CoV can be prevented by avoiding contact with dromedaries and their products and by avoiding contact with sick people. Travellers who present with symptoms such as fever, coughing, respiratory problems or diarrhea less than two weeks after their return from the Arabian Peninsula must consult a doctor as soon as possible to rule out the possibility of MERS-CoV. If, upon your return, you are running a fever and coughing, consider the possibility of MERS-CoV and steer clear of other people. In addition, cover your mouth and nose with a paper tissue when sneezing or coughing, throw the tissues into a rubbish bin with a lid and be sure to wash your hands afterwards. Specialist Belgian hospitals (e.g. the UZA or other hospitals with an Infectious Diseases department) will be able to make a diagnosis and administer the right type of care. Keep a distance of 1 metre away from other people if you have a fever. Cover your mouth and nose with a paper tissue when sneezing or coughing and throw the tissue away. Wash your hands afterwards. Regularly wash your hands with water and soap and avoid raw or undercooked foods. Protect yourself against insects to avoid the risk of dengue (mosquito-repellent measures and dengue fever). Protect yourself against heat and drink sufficient water. Some medications can aggravate dehydration. Consult your doctor to discuss this. In order to obtain a visa for the pilgrimage to Mecca, proof of a meningitis ACWY vaccine is required. More information about meningitis. Ensure that you are up to date with standard vaccines such as tetanus, diphteria, pertussis, polio and measles, in accordance with Belgium's national standard vaccine administration programme. The vaccine against the seasonal flu is recommended particularly for people who have underlying conditions. Usually the flu vaccine only becomes available during September. Some people with underlying conditions should also consider vaccination against pneumococci. For more information visit the website of the Ministry of Health of Saudi Arabia.